This is the first book to thoroughly examine how early and easy access to the Internet and digital technologies impacts children and adolescents. Experts in the field examine the research that shows the social, cognitive, developmental, and academic problems that can result when children spend excessive time in front of screens. As a whole. 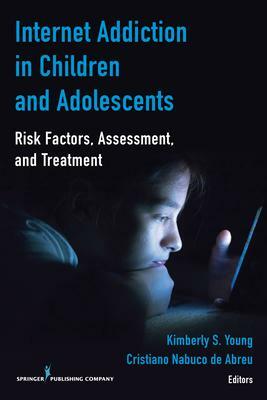 the book provides an invaluable resource for those who need to assess, treat, and prevent Internet addiction in children and adolescents. Provides tools that help predict a child's level of risk for media-related problems. Examines how to diagnose and differentiate Internet addiction from other psychiatric conditions. Explores evidenced-based treatment approaches and how to distinguish pathology from normal development. Shows how to create inpatient treatment programs and therapies to address media addiction. Highlights the psychological, social, and family conditions for those most at risk. Evaluates the effects of the excessive use of electronic games and the Internet on brain development. Explores the physical risks that result from excessive media use and strategies for combating the problem. Examines school-based initiatives that employ policies and procedures designed to increase awareness of excessive media use and help educators identify students who misuse technology, and strategies of intervention and communication with parents. Identifies signs of problem Internet behavior such as aggressive behavior, lying about screen use, and a preference for screen time over social interactions. Outlines the risk factors for developing internet addiction. Provides strategies for treatment and prevention in family, school, and community settings. Practitioners and researchers in psychology, social work, school counseling, child and family therapy, and nursing will appreciate this book's thorough review if internet addiction among children and adolescents. The book also serves as an engaging supplement in courses on media psychology, addiction counseling, abnormal psychology, school counseling, social issues, and more. Dr. Kimberly S. Young is a licensed psychologist and an internationally known expert on Internet addiction. She founded the Center for Internet Addiction in 1995 and is a professor at St. Bonaventure University publishing numerous articles and books including Caught in the Net, the first to identify Internet addiction, Tangled in the Web, and more. Her work has been featured in The New York Times, The Wall Street Journal, The London Times, Newsweek, Time, CNN, CBS News, Fox News, Good Morning America, and ABC's World News Tonight. She serves on the advisory board for The Internet Group in Toronto and the Japanese Ministry for the prevention and treatment of Internet Addiction. Dr. Cristiano Nabuco de Abreu has a PhD in Clinical Psychology from University of Minho in Portugal with a Postdoctoral Fellow in the Deptartment of Psychiatry, Faculty of Medicine, Universidade of São Paulo. He coordinates the Internet Addicts Program of the Impulse Control Unit of the Institute of Psychiatry, Faculty of Medicine, University of São Paulo. The former president of the Brazilian Society of Cognitive Therapies and former vice-president of Latina America Society of Cognitive Therapies, Dr. Nabuco has published numeorous journal articles and ten books including, Internet Addiction: A Handbook and Guide to Evaluation and Treatment, Clinical Handbook for Impulse Control Dosorders, and more.